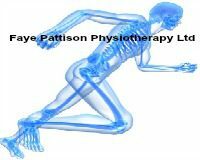 At Faye Pattison Physiotherapy we charge for our time therefore we do not have separate charges for initial and follow up consultations as our therapists time is their time regardless. For physiotherapy and soft tissue therapy, in general, a standard 30 minute initial consultation is sufficient time to take your medical history, discuss with you our findings and get on with some treatment however if you would feel your case is more complex, have a couple of separate ailments you wish to discuss or would just rather an hour initial consultation then this is fine too. Feel free to speak with one of our friendly team if you are unsure so we c an ascertain if an initial 60 minute appointment is required. 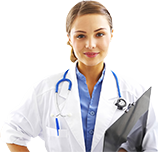 Insurance – Faye Pattison Physiotherapy Ltd is approved by most of the major private medical insurancecompanies. With most insurance companies for physiotherapy treatment, we bill the insurer directly and any excess due on the policy is paid directly to our clinic as and when we are advised by the insurance company or some patients pay this as a lump sum in advance. In some cases, depending on the patients’ policy, patient pays our clinic for their treatment and we provide copy invoices stating paid for the patient to then claim back off their insurer. Every policy is different so if in doubt, contact your insurer for more information. Please ensure that you have contacted your insurance company and completed the require tasks before commencing any treatment at the clinic. This could include a consultant or GP referral letter. Please ensure all insurance details including membership number & pre-authorisation numbers are given to the clinic prior to your first appointment to allow us to set up our system to bill your insurance company directly. Please be aware that all excess on your policy is paid directly to our clinic and not your insurance company. Please be aware that you are liable to pay Faye Pattison Physiotherapy Ltd directly for any shortfall in your insurers payment, this includes excess on your policy, any cancellation or non-attendance charges and if your insurer declines payment for any other reason, you will be required to settle your outstanding balance directly with our clinic and then take this matter up with your insurance company.